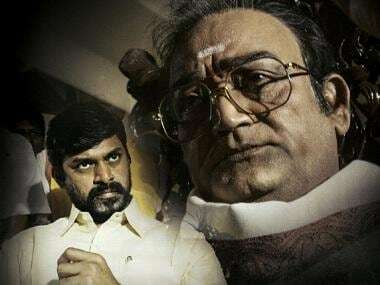 Chennai: Filmmaker Ram Gopal Varma Tuesday released the first look poster of his upcoming Telugu film Lakshmi's NTR on Tuesday, based on the life of legendary actor and former Chief Minister of Andhra Pradesh, Nandamuri Taraka Rama Rao (NTR). In July, Varma announced his desire to make a biopic on NTR. In an emotional voice note shared with IANS, he had said: "NTR is a name to reckon with every Telugu-speaking individual. 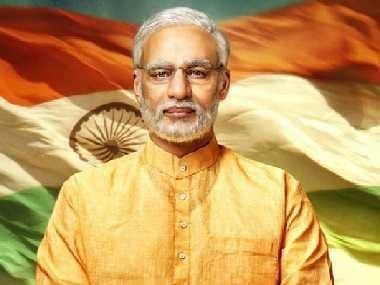 He was not just a great actor but a leader with unprecedented following. I'm very proud to direct a film on his life." On Tuesday, he shared the first look poster of the film on his official Facebook page. A note was shared with the poster, which focuses on a dejected and lost looking NTR's face juxtaposed with the high brightness on Lakshmi's (widow of NTR) feet entering into his life. "One single step that created love in the heart of one man but also hatred in hundreds. But that single step also re-motivated him to once again make millions of people love him. This is the story of Lakshmi's NTR," Varma wrote. "It's a love story full of hatred, jealousy, power mongering, backstabbing and above all unbelievable inter-relationship conflicts," he added. Varma has decided that instead of making the biopic from the perspective of NTR, he will narrate it from the standpoint of his wife Lakshmi Parvathi. Varma confirmed the film will hit the screens at the end of next year.